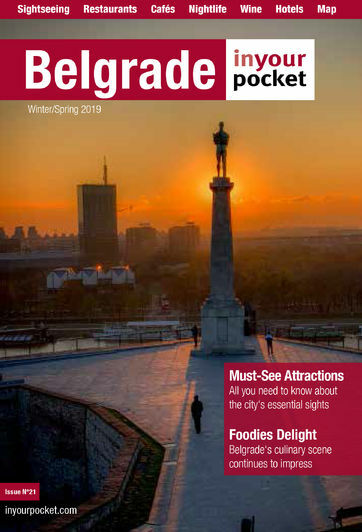 If you're reading this page then you very likely already know this, but just to be clear: Belgrade is something of a party city. And one of the important elements of its great nightlife is the ability of (most) locals to maintain that fun level of inebriety, which we all love but only vaguely remember. So how do Serbs generally manage do a better job than most at staying in that ideal phase of being drunk, just having the right amount of fun without the fear of embarrassment or waking up on a park bench? Although like most of Europe the legal drinking age is 18, there might as well not be a legal drinking age. The vast majority of people have started drinking way before they've reached the legal age, and a shocking number of people will say that their first brush with alcohol was stealing their grandparents homemade rakija and just going at it. Yikes. A big part of a night out is food. Whether you are going to a traditional kafana where you're likely to be offered food to go with the drinks and live music, or a restaurant before clubbing, eating and drinking go hand in hand in Serbia. Tactically, Serbian food is very meat-based and heavy, so it absorbs alcohol well, ensuring you hold onto your good judgement and self-worth until the early morning hours. If things start getting a bit sloppy at some point, there are many fast food joints around town that can make you feel better at all hours, and a night out without stopping for some greasy goodness on the way home at dawn can hardly even be called a night out. Most nightspots in Belgrade have a wide range of both international and local drinks. If you are interested in drinking like a Serb, the step that can’t be skipped is rakija. This is a local brandy that is most famously made out of plum, but can pretty much be made out of anything - our personal favourite is dunja, made from quince. If you're not a fan of drinks with a bite, so to speak, try honey or cherry flavours as they tend to be sweeter. Make sure to ask your server for any recommendations, and bear in mind that homemade rakija tends to be better quality. If you can master rakija, you’ll definitely be considered a local.